A new report from Public Health England (PHE) has illuminated the primary health concerns in UK society today, revealing the extent of rising demands for healthcare as the population continues to age. The [Health Profile for England] report shows that in some areas, public health in the UK is improving. Life expectancy has gone up, with men living for 79.6 years on average, while this figure stands at 83.2 years for women, and the average UK citizen can expect 63 years of good health. Today, the number of citizens aged 85 is three times higher than in the 1970s, and this figure is forecast to reach two million by 2031. And smoking, one of the leading lifestyle-related health risks alongside obesity, has dropped by a quarter to just 15% of the population; by 2023 this could drop as low as 10%. However, while overall health in every age demographic is at a high, the report identified a range of persistent health problems across society. A clear divide along socioeconomic groups was seen, with those in the richest parts of the country experiencing 19 more years of good health on average than those from the poorest backgrounds. In line with the nation’s ageing population, age-related diseases such as dementia are becoming increasingly prevalent, and are currently the leading cause of death in females and could soon overtake heart disease as the leading cause in men as well by as early as 2020. In the same way, incidence of hearing and sight loss as well as muscle and joint problems has also increased, and prevalence of diabetes is expected to rise from just less than four million cases last year to reach five million by 2023. Compared to other 27 member states in the European Union, the UK ranked 18th and 10th for women and men respectively in rates of premature death. “Now in its 70th year, demands on the NHS have changed significantly,” remarked Professor John Newton, Director of Health Improvement at PHE. “More of us are living longer with painful or disabling conditions, including musculoskeletal problems, skin conditions and sensory loss. While these illnesses often attract less attention than causes of early death such as heart disease and cancer, they have a profound effect on the day to day lives of many people and together they place significant pressure on the NHS. 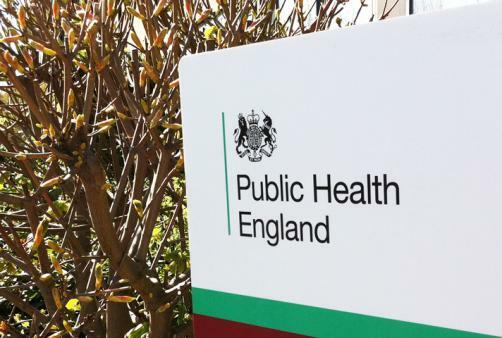 Data and findings detailed in the report are to be utilised to shape long-term plans for the NHS, with an emphasis on preventing ill health rather than treating it after the fact.